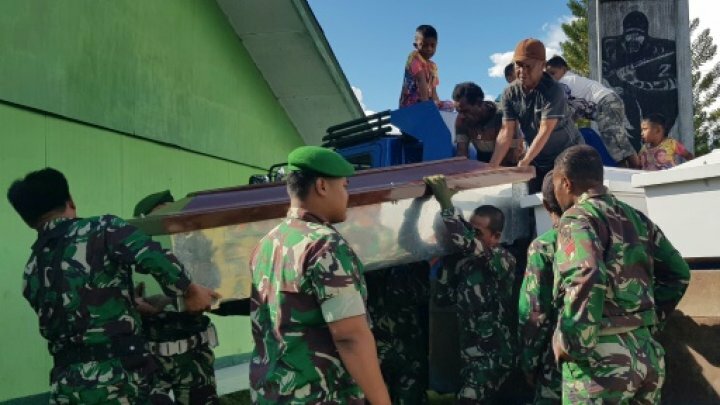 Indonesian soldiers hunted Wednesday for rebels suspected of killing as many as 24 construction workers in restive Papua province, as an eyewitness account supplied by the military described a grisly mass execution. Indonesian president Joko Widodo said Wednesday he backed the hunt for those behind what he described as the “alleged assault”. Four workersincluding three suffering gunshot woundswere among a dozen civilians who have been evacuated from the area so far. This weekend, about 500 activistsincluding an Australianwere arrested in a nationwide police crackdown that coincided with rallies on December 1, a date many Papuans consider their anniversary of independence from Dutch colonialists.